Interesting new article posted on Computerworld explaining how the State of Indiana saved nearly $14M by consolidating their seven data centers into one (plus a second for disaster recovery) while also reducing server count by one-third through virtualization. We’ve learned that they did this by standardizing on the 4 Socket Intel Xeon 7300 processor based Dell PowerEdge R900s. This is a great example of an innovative IT department conducting large scale server consolidation to improve operational efficiency and reduce costs. Dell IT’s own global standard virtualization model incorporates the 4 Socket Intel® Xeon 7300 processor based Dell PowerEdge R900 as the centerpiece, where they have virtualized more than 5,000 servers and saved the company over US$29 million using a scalable, worldwide virtualization model. Click here to learn more about that as well. Come talk to us if you’re not seeing similar consolidation benefits or savings, we’d like to help. 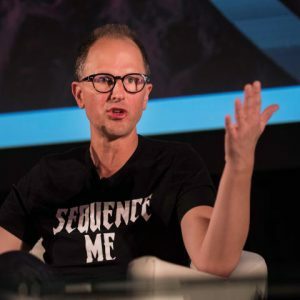 Bryce Olson, Global Strategist for Intel’s Health and Life Sciences group, focuses on bringing technology and science together in the exciting area of genomics and precision medicine with a powerful message on how this saves lives. Genomic sequencing and precision medicine gave him a life he didn’t think he’d get to live. Bryce is inspired by connecting the advances in technology and life sciences into clinical settings and helping patients understand these new opportunities. He is a sought after keynote speaker and his story has been covered by national and international media. Bryce started FACTS (‘Fighting Advanced Cancer Through Songs’), a movement that uses the power of music to build awareness for a new way to fight cancer and bring molecular testing and precision medicine to other advanced cancer patients. In 2017, Bryce wrote and co-produced a rock-n-roll album with proceeds going towards the FACTS movement, that brought together a variety of Portland, Oregon based musicians and singers including Jenny Conlee from the Decemberists, Martha Davis from the Motels, Pete Krebs, and Michelle DeCourcy – all four who are also cancer survivors. Bryce also started the ‘www.sequenceme.org’ movement, a patient driven call to action to accelerate the adoption of new genomic sequencing innovation through greater education, awareness building, and forming community.